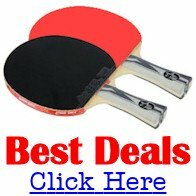 Tri-County Table Tennis Club is located in Eastlake, Ohio, USA. It was started by a group of players who informally started playing at Lakeland Community College in the early 1990s. Partly because the group was growing beyond Lakeland's accommodation, but mostly because Lakeland was beginning a major renovation of their athletic complex, which included the area we used between two gymnasiums, a club was formally started in 1995 in Willoughby Hills, Ohio (at the old Garfield School - the building no longer exists). Initially, we were the Lake-Geauga Table Tennis club. We remained there for 10 years when the building was demolished due to the owner school district's decision to fore-go modernizing the plumbing. Several months later we were able to move to Lyndhurst, OH into a daycare (former Ridgebury School). It was at this time that the club name was changed to Tri-County. We stayed in Lyndhurst for a couple of years until a rent increase forced a move to Bratenahl, Ohio. We enjoyed a stay in Bratenahl for another couple years, and moved to Eastlake only because it was closer to our base group of players who lived in or close to Lake County. Our players exhibit widely varying skill levels, so anyone who wishes to play generally does so without being the object of snobbery. Also, we do try to accommodate those players who enjoy playing doubles. For the most part, doubles is played in a separate classroom with decent court space for one table, good lighting, but a lower ceiling. 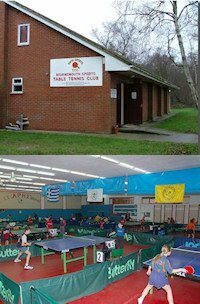 Visitors are very welcome at our club. Anybody, regardless of skill level, has the chance to play anyone else. Mondays are our busiest nights, followed by Saturday afternoons, then Thursday evenings. We have occasional competitions but these follow no regular schedule. There is no club-sponsored coaching. However, a few individuals who do coach, are allowed at times to use club facilities (schedule and overall turnout permitting). Also, generally when competition wanes as each open play session gets nearer closing time, a handful of players will work with and / or give pointers to those beginning-level players who have expressed a desire to improve.